Here are highlights from my recent tasting tour of the Ancient Lakes. 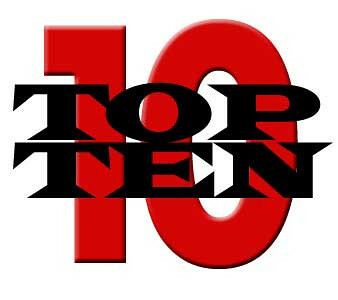 I've posted links to each winery's website so you may see the full slate of offerings. ancient lakes – washington's next ava? I spent two extremely busy and fascinating days last week touring a region known as the Ancient Lakes. 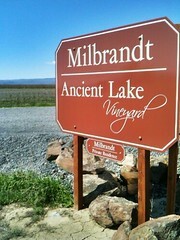 If all goes well – and it should – Ancient Lakes will be certified as the 12th Washington AVA sometime later this year. If you can locate the world famous concert venue known as the Gorge at George on a map, you are in the Ancient Lakes region. The Columbia river, at one of its most spectacular passages, defines the western edge. Both southern and northern boundaries are ridges of hills, folds in the earth, caused by tectonic movement in Oregon. These ridges run east/west and occur in sequence throughout much of eastern Washington. Well, even the PG blog can’t entirely escape the Royal Wedding frenzy. Two stories in the news today caught my eye, and I will pass them along to you for your thoughtful analysis. An article in Decanter announces that Pol Roger has been selected as the official Champagne at the wedding. Surprisingly, the happy couple are springing only for the NV Brut, rather than something a bit more celestial, such as the Winston Churchill Cuvée. Pol Roger enjoys a long history with the aristocracy, reports Decanter. It was given a “royal warrant” from Queen Victoria in 1884 (don’t ask me what the heck that means) and chosen by Prince Charles for his stag party ahead of his big wedding to Diana. Hope he drank a lot of it; he had no idea how much he would need it in the years ahead. Mrs. G and I are in the midst of massive spring cleaning, and over the weekend I came upon a stash of very fine maps of various wine regions. All are wall-size, and all are completely out of date. I love old maps for their historical value, but these are not all that old, and how many walls can you put a map on anyway? The whole notion of keeping maps has been changed by the easy access to scrollable/ zoomable maps on smartphones and computers. But maps with a purpose beyond simply finding your way from point A to restaurant B are not particularly smartphone-friendy; the screens are too small to give you the big picture, if the maps can be found at all. I find that it's better to do some advance planning on a bigger screen, and online resources are the most up to date. With that in mind, here are some free, downloadable, up-to-date maps and brochures, helpful for planning your wine country touring as we move (finally!) into spring and summer. 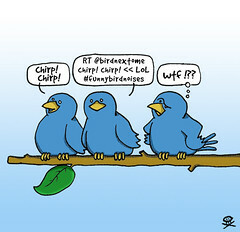 all the little birdies go tweet tweet tweet! Yesterday morning I was the guest speaker at a wine marketing class here in Walla Walla. The students were enrolled in a variety of classes at the College of Viticulture & Enology, and they were a thoughtful and attentive group. Much of the discussion (it was not a lecture; I just sat in and fielded questions) was focused on blogging and social media and their impact and utility for marketing wines. One student's question in particular got me thinking. He had recently attended a high profile wine event in Seattle, at which members of the wine press, along with consumers who bought the high-priced tickets, were granted early entry. He noted that there were many people who were tweeting and texting away, apparently comp'ed into the event because the sponsors wanted to engage social media activists. This student was puzzled as to the purpose of it all. As was I.
I had a chance to catch up with Chris Figgins last week, at his new winery on Melrose. The facility, a converted print shop, was renovated just in time for the 2010 crush (which, Figgins told me, was just late enough to allow construction to wrap in time for the grapes to arrive). The new winery is for making and aging the DoubleBack wines (the Drew Bledsoe project) and the new Figgins Estate Red wine, a single vineyard bottling due for its first release this fall. More on that wine in a few weeks, when the pre-orders are being taken. The main event this time was the tasting of the new Leonetti releases, which are being made as always at the original winery. It never fails to surprise – the extraordinary lengths to which wineries will go to redesign their labels. Tens of thousands of dollars can go into a single label redesign. 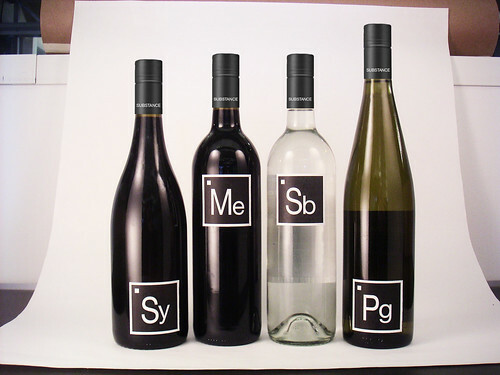 And when a winery changes its labels frequently – as Columbia did back in the 1980s and 1990s – the cost has to be taking a major bite out of the budget. On rare occasions, I have seen some truly outstanding labels that were basically designed by someone scribbling on a napkin. More commonly, I see junky homemade efforts that looked like someone's grade school art project. BULLETIN: betz family winery sold! The news came suddenly. A phone call from Bob Betz, followed by an official press release. 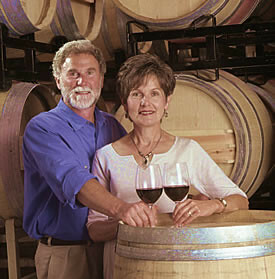 After several months of negotiations, Bob and Cathy Betz, who founded their Betz Family Winery in 1997, have sold the winery, its equipment and inventory, to Steve and Bridgit Griessel of Phoenix, Arizona. Calling it a partnership rather than an out-and-out sale, Betz explains that he and Cathy, the winery's President, will be retained as part of the management and operations team. He will continue to serve as winemaker, responsible for making the wines for at least another five years. 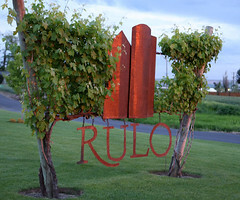 rulo rocks - part two – plus "best washington wine blog"
Continuing with thoughts and notes from last week’s outstanding vertical tasting of Rulo chardonnays, I am posting up the results from the second flight. 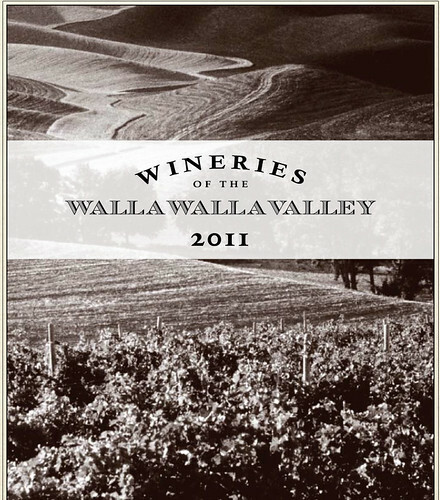 These eight vintages (2001 – 2009, skipping 2004) were sourced from a single Walla Walla vineyard, whose ownership changed in mid-decade. Hence, a name change from Vanessa to Birch Creek. Here are notes and, just for fun, scores based upon how well they were showing at whatever age they happened to be. There are many types of wine tastings, and I’ve probably done them all, but without a doubt my favorite is a vertical tasting from an excellent winery. This week I had the opportunity to sit down with Kurt and Vicki Schlicker at Rulo Winery and taste through two flights of chardonnays, dating back to their second vintage, 2001. There are always unexpected discoveries to be made at a well-organized vertical, and this one was no exception. The wines fell easily into two camps. The first group included seven Sundance Vineyard Chardonnays, as well as one outlier, a chardonnay/sauv blanc blend called Ceres. There were several things of interest going on here. 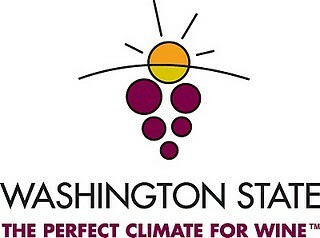 First, the flavor stamp of this Wahluke Slope vineyard, expressed through multiple vintages. Then, the vintage variation, amplified by the fact that these wines were all “tree free” as we decided to call them (meaning unwooded, naked, all stainless fermented, etc.). The two oldest were bottled with particularly expensive cork closures, the next with a synthetic (Neocork) closure, and the more recent vintages with screwcap. So there was a chance to see how each different closure impacted the aging curve of the wine.